This piece is based on a large commission that Dalou never completed. Aime Jules Dalou was one of the most prolific and successful monument makers in France during the last two decades of the nineteenth century. 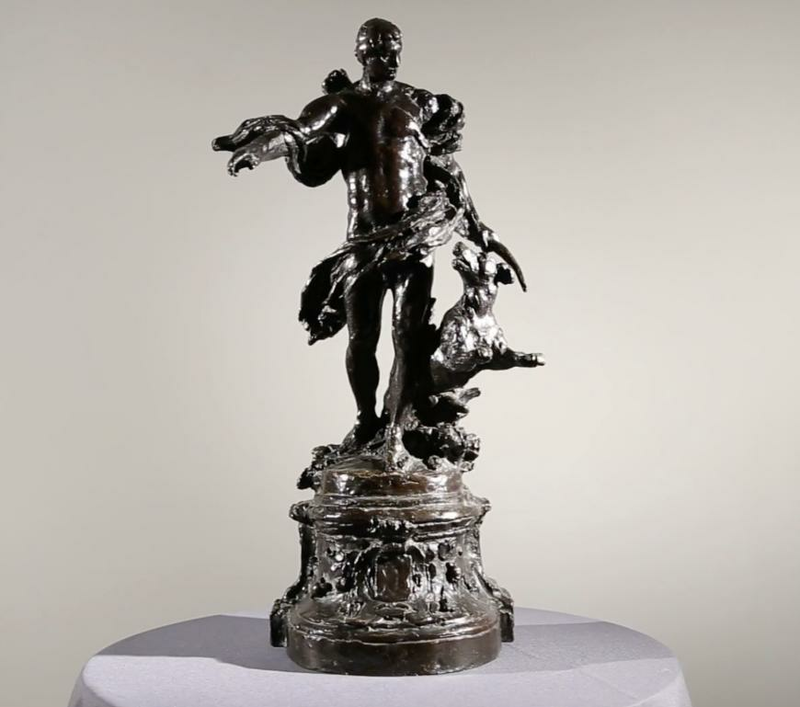 Dalou received his first commission for a public monument for the Royal Exchange in London having been forced into exile to England because of his left-wing political views. This commission was a major turning point in the artist's career. When he returned to Paris after the amnesty of 1879-80, only monuments celebrating the greatest men of ideals of his era could completely satisfy him. 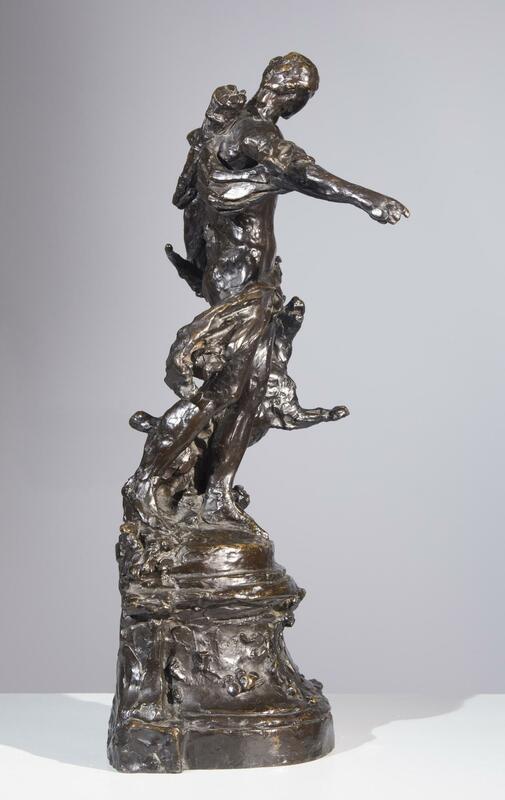 In Paris during the 1890s, a number of Dalou's monuments were erected and inaugurated to commemorate distinguished individuals. Each of these individuals was someone with whom Dalou felt a particular artistic, social, or political affinity. 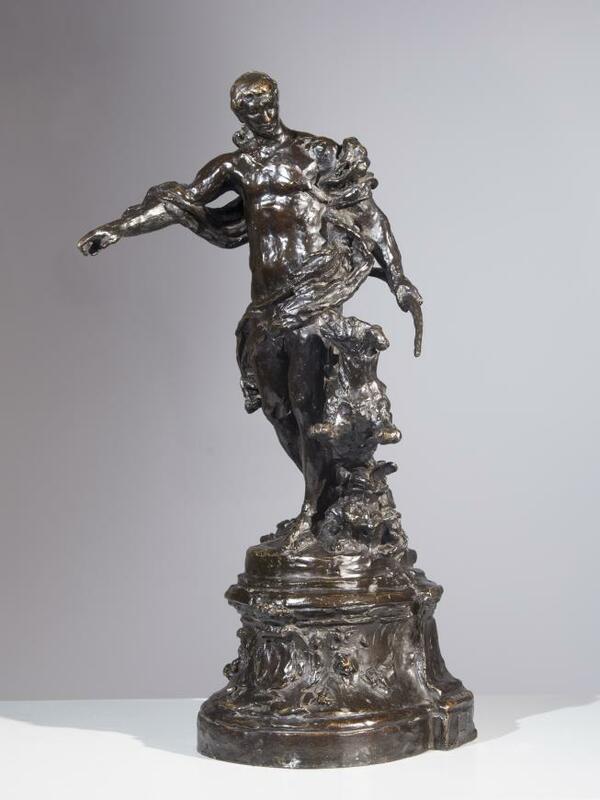 Adrien A. Hebrard (c. 1865-1937), fondeur, devoted much of his life to promoting sculpture and the craft of bronze casting. 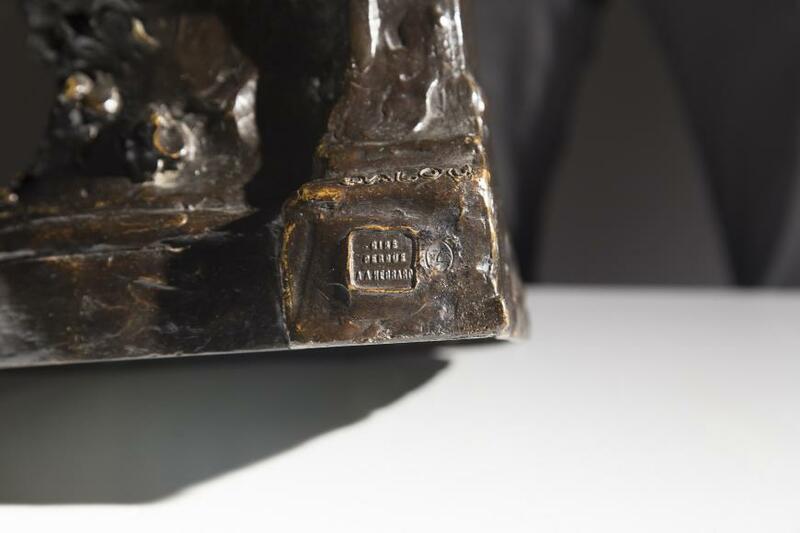 He was especially committed to the preservation of works left uncast by artists at the time of their death. 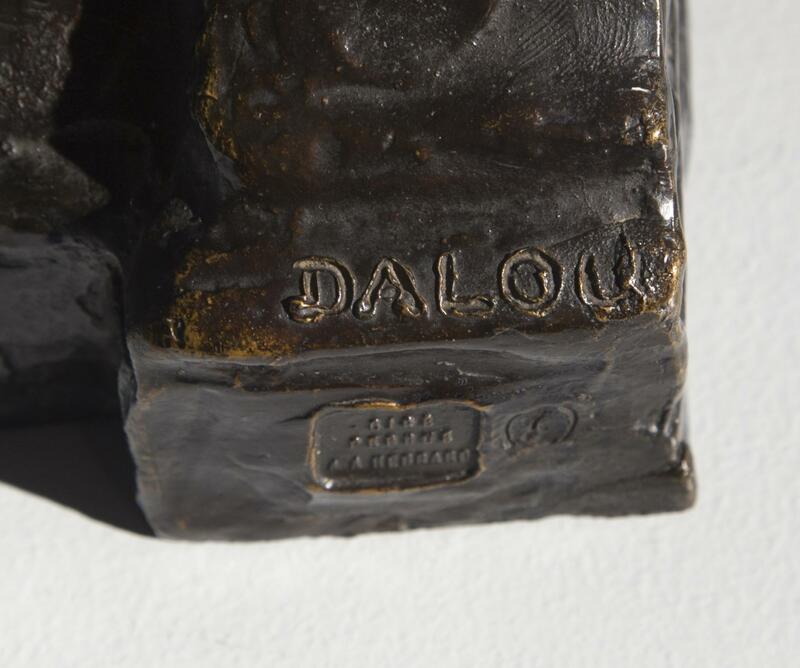 Without Hebrard's intervention much of the work of Jules Dalou would have remained unknown. 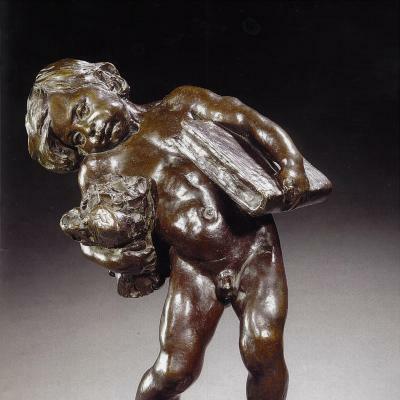 Three years after Dalou's death, the Petit Palais acquired a great number of small terracotta and plaster models. 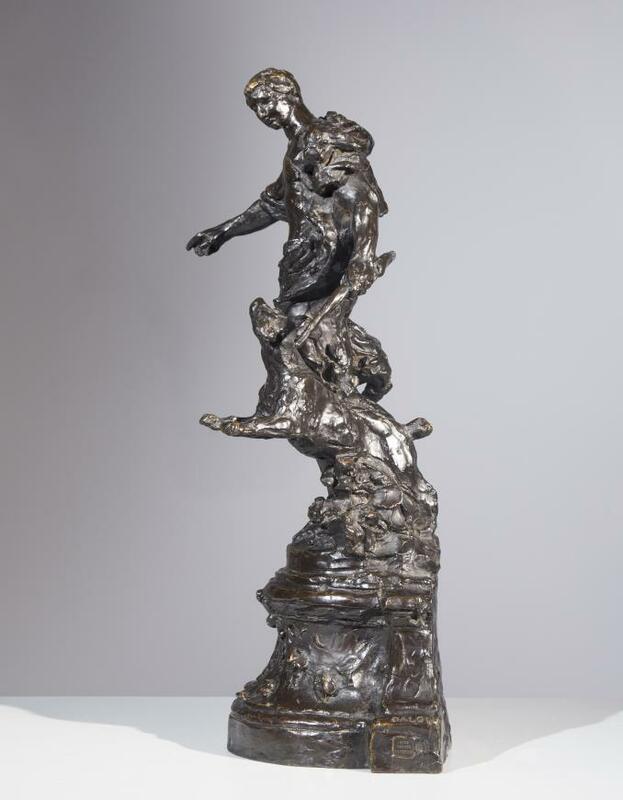 Two years later, in 1907, Hebrard was given authorization to cast the works in bronze. 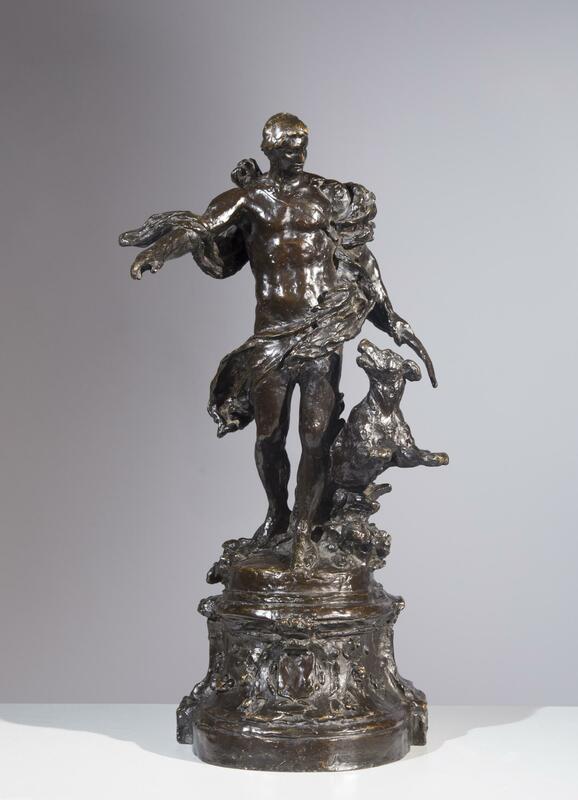 Dalou was commissioned to create Le Chasseur—translated from French, The Hunter—by the Duke Agenor de Gramont, who sought a large marble sculpture in his own likeness to adorn the park of his castle at Vallières. The Duke stipulated that the monumental sculpture be just over three meters in height, and that it show him in the guise of a Classical hunter accompanied by his leaping dog. 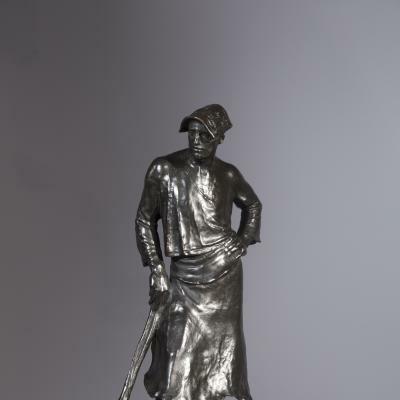 Over the course of the project, the aging Dalou encountered a series of setbacks, mostly due to the fact that he was working concurrently on prestigious commissions including monuments to the late dignitaries Jean-Charles Alphand and General Lazare Hoche. 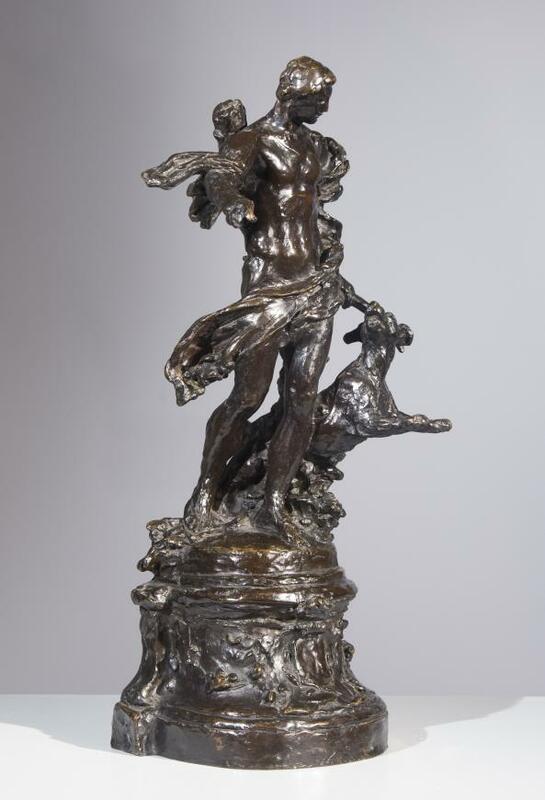 In sculpting Le Chasseur, Dalou invested a great deal of time in perfecting his model’s anatomy, keeping in mind Classical depictions of hunting imagery such as those of Diana the huntress and her stag. However, as imperfections in his work gradually became insurmountable for Dalou, he abandoned and returned to the Duke’s commission several times out of frustration and fatigue; harboring an intense dislike for each iteration he created, he never fully realized the project. 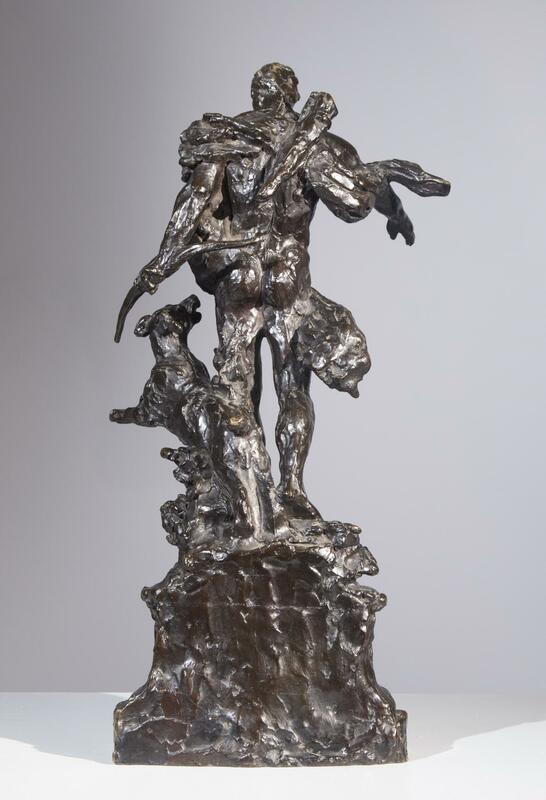 Dalou’s 25-inch patinated plaster model for Le Chasseur is currently held at the Petit Palais of the Musée des Beaux-Arts de la Ville de Paris, and our example is a bronze cast of the same size.